POWER BOAT GUIDE SAYS..."The Marine Trader retains the classic trawler design elements including full walk around decks, a salty profile, a full teak interior and an extended flybridge whose supporting stanchions give the boat a true motoryacht appearance. A teak bow pulpit, swim platform, and a mast boom assembly are standard....the cruising range of this boat can exceed 750 miles...."
This trawler is well cared for and upgraded by a responsible and caring owner, and a good choice for a couple wanting to cruise the canals, do the "Great Loop", or comfortably liveaboard. The interior is in very nice condition and boat shows much better than one would expect for her age. Only 381 original hrs show on the hourmeter, with no evidence or history of saltwater use. All new support stanchions, and new windows at the helm. Boat has bow and stern thrusters and autopilot. 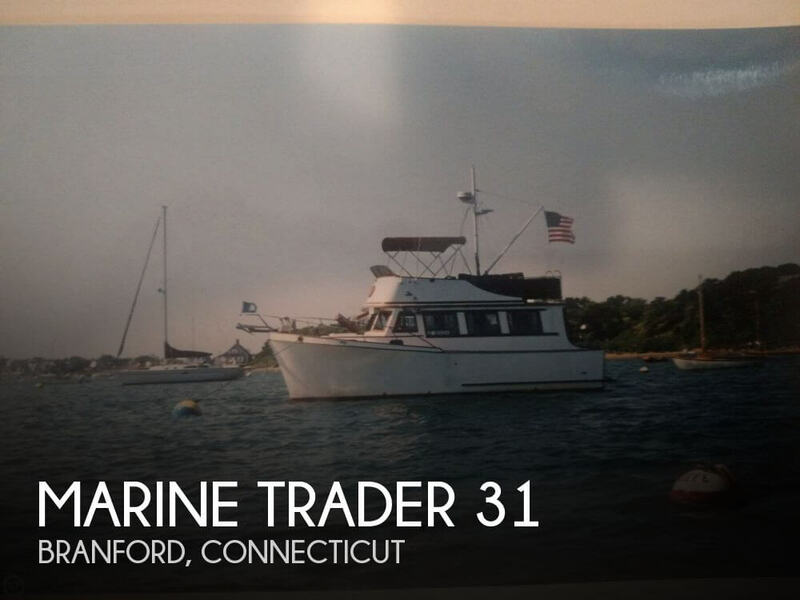 Boat is in the water and ready to view, and a "must see" for anyone looking for a small trawler.